Helen Field remains one of the most versatile and distinguished artists of her generation. Her most recent roles include Marcellina LE NOZZE DI FIGARO at La Monnaie and the title role in SALOME for Welsh National Opera. Other highlights include Countess DIE SOLDATEN in David Poutney’s acclaimed production for the Ruhr Triennale (a role she repeats this autumn in Bochum and later this season for the Lincoln Center Festival New York); Kostelnicka JENUFA in Osnabrück; and Denise in Michael Tippett THE KNOT GARDEN on tour in the UK. Her diverse international appearances have included the role of the Governess in Britten THE TURN OF THE SCREW in Cologne, Dresden, Montpellier, Amsterdam, Schwetzingen and Barcelona; Gilda RIGOLETTO at the Metropolitan Opera House, New York; Cio-Cio San MADAMA BUTTERFLY at the Deutsche Oper Berlin; Aspasia MITRIDATE at Monte Carlo, Desdemona OTELLO in Brussels; and stunning interpretations of JENUFA in Liege, Düsseldorf and Toronto. 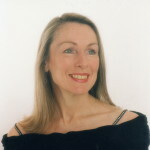 Born in North Wales, Helen Field studied at the Royal Northern College of Music, Manchester and the Royal College of Music, London. Her many awards have included the Dame Eva Turner Prize for Opera, the Royal Society of Arts Scholarship and the Young Welsh singers Competition. She made her debut as a BBC young recitalist at the Wigmore Hall, Purcell Room and Brangwyn Hall, and her operatic debut came at Welsh National Opera, where her repertoire has included Gilda, Marenka, Vixen, Jenufa and Katerina THE GREEK PASSION. She made her ENO debut as Gilda, going on to appear as Jennifer MIDSUMMER MARRIAGE, Pamina, Nedda, Violetta, Donna Anna, Marguerite, Duchess of Parma, and in 2003, the role of Aunt Lydia THE HANDMAID’S TALE. For Scottish Opera she sang the roles of Vixen, Katya, James McMillan INES DE CASTRO (world premiere) and the title-role in SALOME. The Lawrence Olivier Awards nominated her as “the most outstanding newcomer to opera” for her performance of Vixen, and, “outstanding operatic achievement of the year” for her performance as Marguerite in Gounod FAUST. She was also nominated for the Dora Moore Award for her performance in the role of SALOME in Toronto. She enjoyed both public and critical success as Aithra in DIE AEGYPTISCHE HELENA at the Avery Fisher Hall in New York, reviving the role in Cagliari, for the Royal Opera House and Germany. As the title role in SALOME her appearances have included Brussels, Santa Fe, Los Angeles, Covent Garden, Hamburg, Hong Kong, Nürnberg, Scottish Opera, Holland and Frankfurt. A strong supporter of contemporary music, she has been involved in many significant world-premieres, including Tippet NEW YEAR, Birtwistle THE SECOND MRS KONG for Glyndebourne, James McMillan INES DE CASTRO and Paul Rouder THE HANDMAID’S TALE. Elsewhere on the concert platform, she has appeared with many of the world’s major orchestras, including Strauss Vier Letzte Lieder with the BBC at the Proms in London, Mahler Symphony No. 4 at the opening of the Schauspielhaus in Berlin, a Leipzig Gewandhaus concert with Kurt Masur and the Vier Letzte Lieder with Günter Wand in Hamburg.